While meeting the authors and having a signed copy of a book is always wonderful, those things aren’t necessary to actually read the book and take away the lessons and enjoyment from it. So for those of you not heading to HPMKT next week, we want you to know what books and authors are making a splash there so you can be in the loop. And if you will be there, pick up a signed copy for a friend who isn’t going! Here’s our very first edition of “Book Corner”. And if you’re paying attention to the book signing times, yes, you’ll have to wear running shoes on Sunday morning to get to most of these. Apparently books go well with brunch! In her second book, Alexa Hampton explores the complex process of creating timelessly beautiful, deeply comfortable, happily functional rooms - detail by detail. An exquisite new photographic monograph by Rizzoli, Greg Natale's unique insights are accompanied by stunning images by acclaimed photographer Anson Smart. "The Patterned Interior" guides readers through a diverse selection of residences that showcase Natale's exploration of the power and importance of pattern. 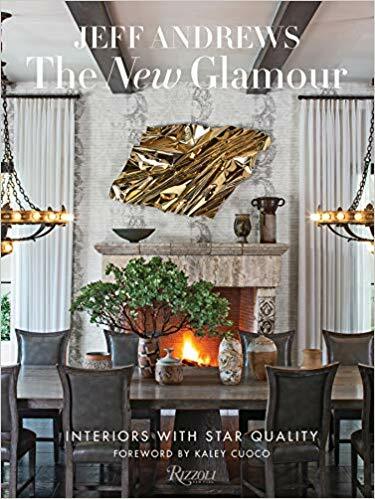 Interior designer Jeff Andrews reveals his decorating secrets in a refreshing, youthful, and livable take on what glamour today can be. In his first book, he guides us through the bold spaces he has created for his celebrity clients, while sharing his philosophy on design. Jesse Carrier and Mara Miller, the principals of Carrier and Company Interiors, create rooms that are a confident mix of timeless and contemporary design--familiar and fresh at once. This beautifully illustrated new book shows why the Carriers are the designers of choice for so many of the country's most discriminating arbiters of taste. Entertain for every season of the year with one of the South's most acclaimed luxury interior designers and tastemakers. Join Shayla Copas on a tour of sixteen glamorous celebrations ranging from Cinco de Mayo and the Kentucky Derby to traditional gatherings such as Thanksgiving, Christmas, and New Year's Eve. With more than 250 luscious color photographs, this book will elevate readers' creativity as they plan their next luncheon, dinner, or poolside soiree. If reading these books (or just reading about them) makes you think about publishing your very own tome on the design industry, there is an event happening at Market just for you.